Review: Damn! Dark Entries are on a roll! 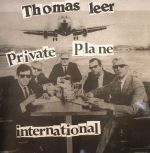 Their latest reissue is of Scotland's Thomas Leer, an early 80's independent artist who recorded "Private Plane" in his bedroom using an extremely limited set-up...the prototypical '80s experimental kid! The tune is dreary, funky and on the abstract side all at the same time, but our favourite is actually "International" thanks to its wonky groove, driving percussion stabs and bursts of distorted jazz flute. 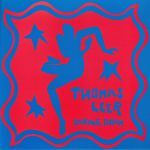 On the B-side there's also "Saving Grace", a more poppy affair in that inimitable 80's Karate Kid flair...highly recommended, a 12" worthy of a reissue.